So much of wedding planning is about the “fun” stuff, like picking out the wedding dress and tuxedos, tasting cakes, and selecting flowers. Even the nitty gritty details can be enjoyable, like creating a table seating chart and addressing invitations. Planning your wedding is one of the most memorable times in your life and allows you to show-off your personal style, creativity, and personality. Finding unique ways to share your love and love story with your wedding guests is a beautiful experience that conjures warm memories of times shared with your cherished friends and family. But while your wedding is about YOU, much of your wedding plan is about your guests and their experience. From the menu to your timeline, creating an event your guests will enjoy must be a priority. Wedding transportation is at the top of the list for how big of a part it plays in your guests’ convenience and ability to focus on the subject at hand (AKA you!). It can be the icing on the cake, so to speak, that can elevate your guests’ experience from great to truly amazing. 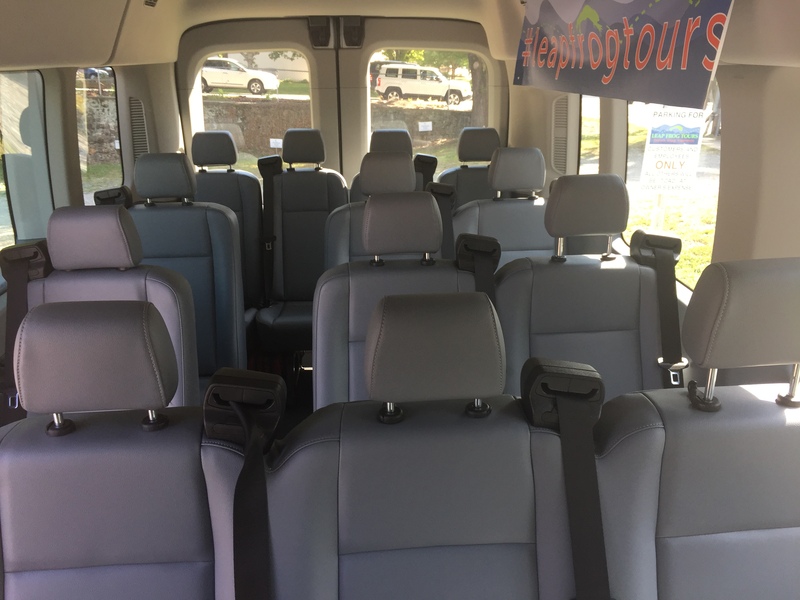 Whether you want to transport your entire wedding party, just a few elderly relatives, or those late-night partiers, Leap Frog Tours offers customized options to best suit your needs and wedding size. 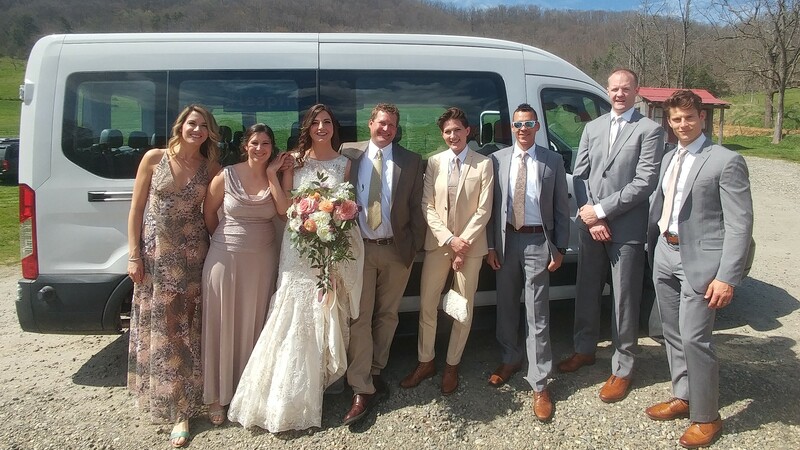 Even if you need staggered pick-ups for your bridesmaids, groomsmen, and parents, we take a consultative approach to make sure you have the right transportation plan for your special day. Our new, well-appointed fleet of vehicles provide both comfort and safety to get your guests where they need to go, when they need to be there! 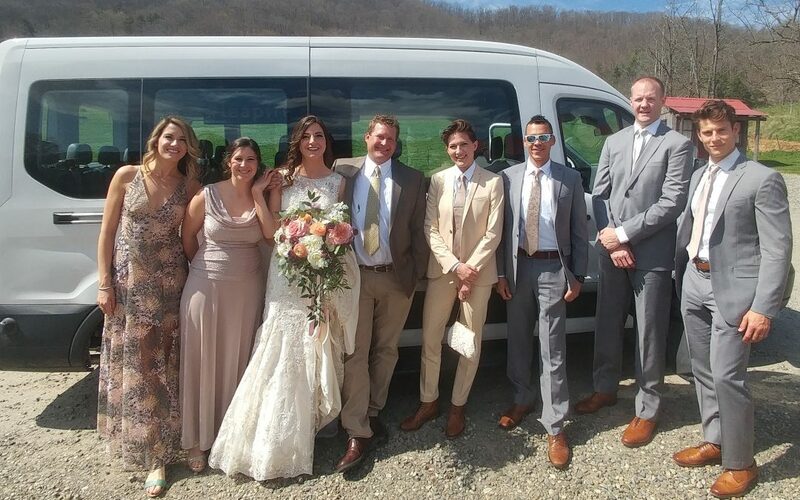 With plenty of experience as both transportation operators and wedding guests, we’ve got the skinny on the top reasons why providing transportation to your wedding guests is essential to a successful wedding plan. Let’s face it: most weddings involve alcohol and most guests expect it to be served. If the drinks will be flowing on your big day, be sure to provide safe transportation so your guests get home safely without putting themselves or others at risk by drinking and driving. A DUI or an accident could definitely dampen the joy of your big day. In Asheville, many of our venues lie outside the city limits on windy roads that are not well lit at night. Guests unacquainted with the local terrain may feel extra vulnerable driving at night in unfamiliar conditions. Add alcohol to the equation and it’s just a bad mix that can be avoided by arranging for transportation. Drinking and driving isn’t cool on any level, and now more wedding venues are putting their figurative foot down. Many venue management companies and/or event planners now require that you make arrangements for safe transportation for your guests if you plan to serve alcohol on site. Be sure to ask about this during your initial planning so you’ll know if arranging transportation is a necessity. Leap Frog Tours and other reputable transportation companies book up well in advance (sometimes as far ahead as a year!) so you’ll need to get on their books ASAP to be sure you’re compliant with your venue’s policies. It’s pretty easy to call for a cab or an Uber in Asheville proper. 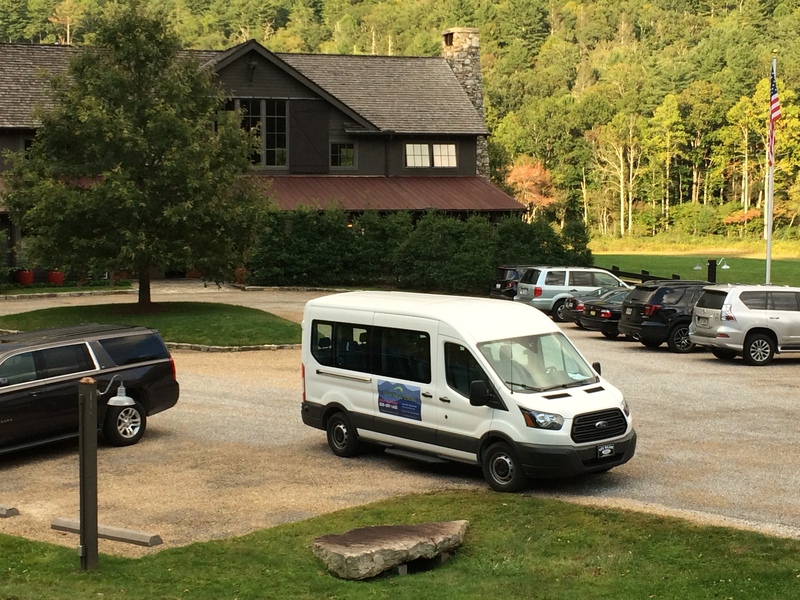 However, taxis and Ubers become way harder to find in Asheville’s outlying communities where many of the most picturesque wedding venues are located. 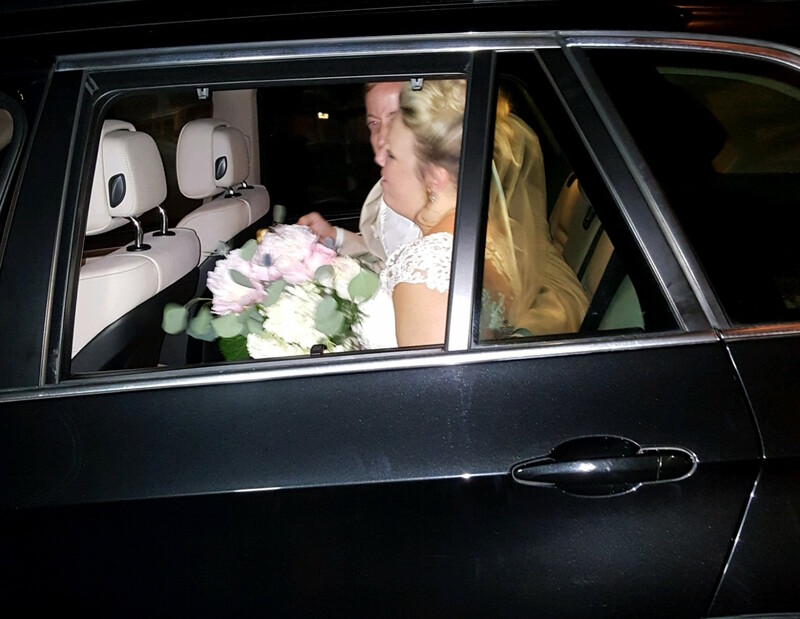 Calling an Uber from in town to get to your remote wedding venue is one thing…trying to get one to come back out to pick you up is another. Guests might be stranded if you expect them to rely on cabs, Uber, and Lyft outside of Asheville’s city limits. While you, the happy couple, may have a beautiful exit planned with a fancy car to whisk you away, don’t overlook the possibility of stranded guests if you haven’t arranged transportation for them. Western North Carolina has become a very popular location for destination weddings; there are so many venues that showcase our beautiful Blue Ridge Mountains and famous sunsets. But with mountains come steep drives and windy roads. Many people who aren’t from the Asheville area don’t like to drive on our curvy mountain roads. Even if your guests are from western NC, they may not be familiar with the location of your wedding venue. Let your guests enjoy the scenic drive and relieve their stress by providing transportation. Many scenic wedding venues are tucked away or perched on top of a mountain. Pretty…but a parking nightmare. These venues offer either limited nearby parking or require guests to navigate a steep, hilly walk to access the venue. Hills and high heels don’t really go hand-in-hand, and no one wants to get hot and sweaty before the wedding even begins. In this case, shuttle transportation would be a nice touch to get your guests to the ceremony on time looking their best. Large wedding venues offer many amenities and create a sense of grandiosity and luxury. Many couples take full advantage of their venue’s scope, with the ceremony in one location and the reception at another. In this case, it’s important to think about the flow of your event. Will your guests may have to deal with a long walk from the ceremony to the reception? If it rains, will they possibly have to traverse muddy or uneven terrain? Booking a shuttle to take people from one location to another will eliminate any logistical or weather-related issues. If you and your new Mr. or Mrs. will be leaving your event in a shower of rice, rose petals, bubbles, or sparklers, wouldn’t it be fun to get into a shiny, sleek luxury car, too? We can help with that! How about a BMW, Mercedes-Benz, or Range Rover to send you off in style?! Or maybe your car of choice looks more like an eco-friendly Prius, a fun-loving Subaru, or a cutting-edge Tesla? Whatever automobile sets you apart, we’ll help you make a grand exit in the car of your dreams. 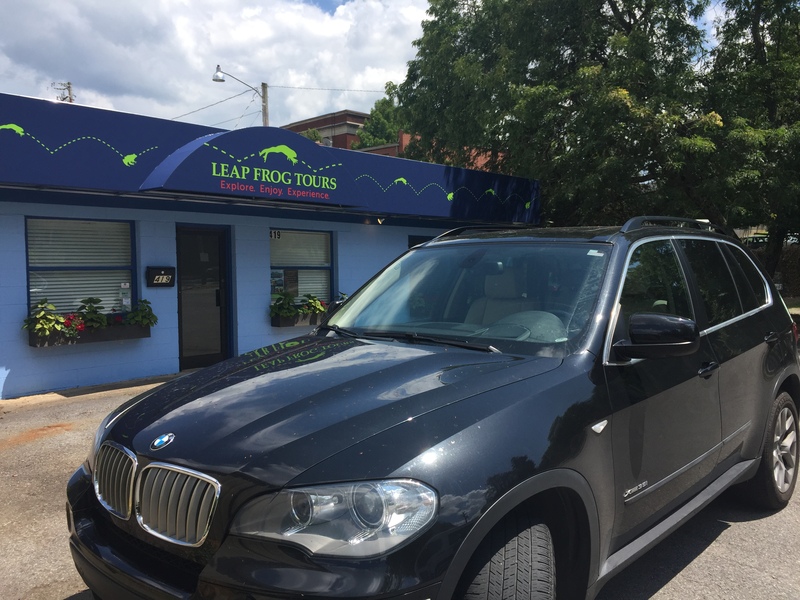 For more information about Leap Frog Tours services, call us today to discuss your transportation needs at 828-246-6777, or send us an email at info@leapfrogtours.com. In addition to event transportation, we also provide tours with pre-set itineraries as well as custom excursions so you, your wedding party, family and friends, can explore, enjoy, and experience our beautiful part of the world together. Are you an Engaged Asheville bride or groom? Visit our webpage dedicated exclusively to you! One-way or round-trip transportation for the bridal party or the entire guest list to/from virtually any wedding venue in the area. 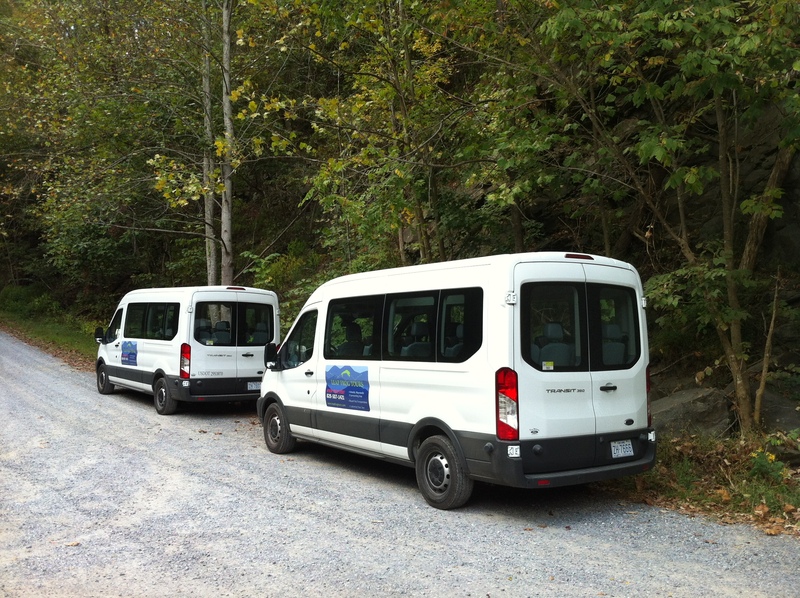 Airport shuttles to and from the Asheville Regional Airport. Click-and-book tours and custom excursion activities for bachelor and bachelorette parties, bridal parties, and wedding guests. 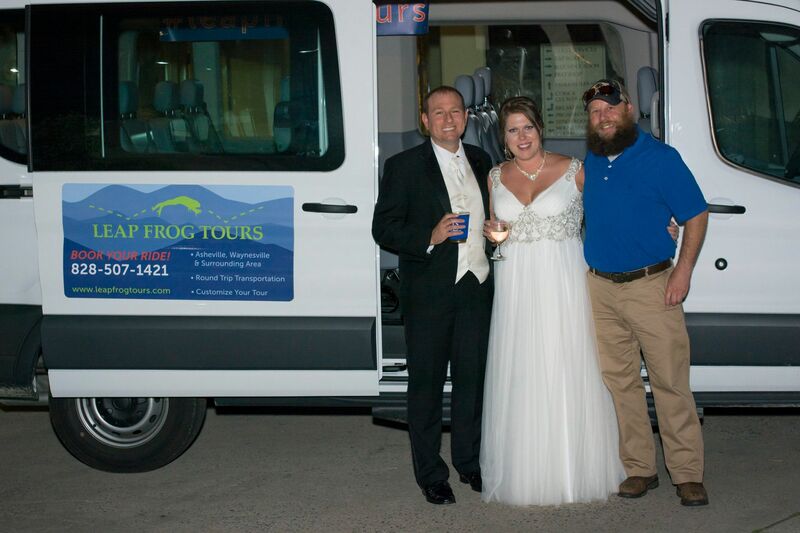 If you’re planning a wedding in Western North Carolina, contact Leap Frog Tours. We’ll use our extensive knowledge of the area and best practices for transportation services to help make your big day as flawless as possible. 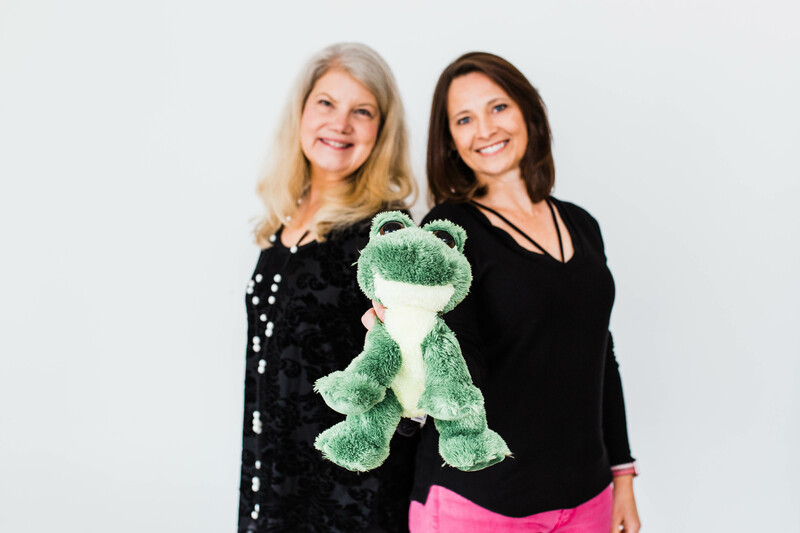 To contact Leap Frog Tours, please visit their official website. You may also visit their profile on our Creative Team page.